One of the world's biggest tobacco companies is investing $3.8 billion into the cannabis market. 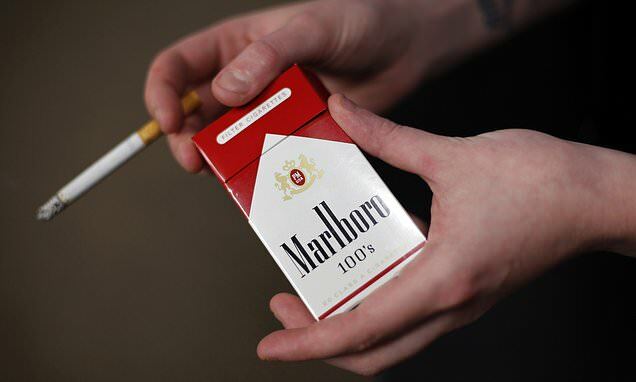 Marlboro maker Altria Group Inc. is paying $2.4 billion for a 45 percent stake in Cronos Group, the Canadian medical and recreational marijuana provider said on Friday. Altria will also pay another $1.4 billion for warrants that if exercised, would give the Altria a 55 percent ownership stake in the Toronto company. 'Investing in Cronos Group as our exclusive partner in the emerging global cannabis category represents an exciting new growth opportunity for Altria,' said Howard Willard, Altria's Chairman and Chief Executive Officer, in a statement. 'We believe that Cronos Group's excellent management team has built capabilities necessary to compete globally, and we look forward to helping Cronos Group realize its significant growth potential,' Willard said. Altria's total investment will be in the same league as the $4 billion spent earlier this year by Constellation Brands to acquire shares of Canopy Growth Corp., another Canadian pot producer.